The propaganda around Russia’s Syria intervention continues apace. In a recent article the American Foreign Policy Council’s Ilan Berman claims that “Putin has pledged to send as many as 150,000 additional troops to the country” and that, contrary to statements by Russian President Vladimir Putin and other Russian officials, the number of jihadi attacks in Russia has not fallen over the last five years (Ilan Birman, “Russia’s Risky Syria Strategy,” The Journal of International Security Affairs, Winter 2016, www.ilanberman.com/18585/russia-risky-syria-strategy). Birman’s source is: Scott Campbell, “End of ISIS? Putin ‘Sending 150,000 Soldiers to Syria to WIPE OUT Evil Islamic State,'”Express (London), November 17, 2015, www.express.co.uk/news/world/609757/Putin-ISIS-Islamic-State-Syria-Raqqa-troops-soldiers-air-strike-jets-military. When we read the cited Campbell piece we read the following: “Putin is reportedly ramping up his military mission in Syria. The Russian leader is reportedly mounting an enormous military mission to take control of the terror group’s stronghold of Raqqa. The city is the self-declared capital of ISIS in Syria and is patrolled by as many as 5,000 jihadi members. Putin is set to mobilise 150,000 reservists who he conscripted into the military in September.” CAMPBELL DOES NOT EVEN EXPLICITLY SAY PUTIN IS PLANNING TO SEND THE MENTIONED 150,000 TROOPS. CITING NO SOURCES OTHER THAN AN UNIDENTIFIED ‘INSIDER’ AND HIS OPINION THAT RUSSIA WANTS TO TAKE RAQQA, CAMPBELL ONLY CLAIMS THAT PUTIN IS PLANNING TO MOBILIZE 150,000 RESERVISTS. Of course, he never did send troops to Raqqa, and Kurdish, Iraqi, and Western forces laid siege and expelled IS from the city. Even Campbell’s article is misleading, since it tries to set up ideas for readers to infer, so they draw a very exaggerated conclusion about what is happening. Thus “he” (Putin) “is set to mobilize” reservists “he” (Putin) “conscripted into the military. The fact is that Russia’s military draft of approximately the same number of conscripts occurs automatically every September, regardless of who is president. Moreover, if Putin was planning to send 150,000 troops to Syria—WHICH HE IS CERTAINLY NOT—he would not send still green, recent recruits. The only ground forces he has sent are construction troops to build an air base and special forces to defend the base and train Syrian forces in the use of the Russian equipment Moscow supplies to the Syrian army. There is no evidence of any significant or even minor Russian troop involvement in ground operations in Syria, no less in Iraq. Moreover, all of the Kremlin’s spokespersons and Putin himself have repeatedly emphasized that Russia will not get involved in a ground war quagmire, which they fear and which would put perhaps fatal stresses on regime unity, the economy, political stability and this regime survival. NOTE: My article–the one you are reading presently–was written before Putin announced his withdrawal of Russian forces from Syria. This further demonstrates the fiasco that is this point of view. In reality, the picture Sysoyev presents is an accurate rendering of Russia’s jihadi landscape. I used to actually count, detail and otherwise study the jihadi terrorist attacks carried out in Russia during the period under discussion, 2010-2015, and somewhat earlier. In 2010, the CE carried out 583 attacks [see Gordon M. Hahn, The Caucasus Emirate Mujahedin: Global Jihadism in Russia’s North Caucasus and Beyond (McFarland Publishers, 2015), p. 124]. In 2014, there were just more than 100, and in 2015 there were fewer than 100. If we look just at suicide bombings, there were: 2 in 2008, 16 in 2009, 14 in 2010, 6 in 2011, 8 in 2012, 8 in 2013, 1 in 2014, and 0 in 2015 [Hahn, The Caucasus Emirate Mujahedin, p. 135]. Thus, it is Birman’s claims that are actually misleading, and the FSB’s which are accurate. 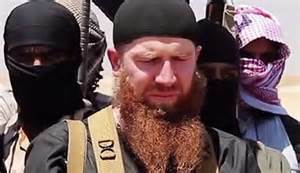 He also writes: “Islamism and attendant religiously motivated violence remains widespread in Russia’s restive regions of Chechnya, Dagestan and Ingushetia – and, increasingly, in the Eurasian “heartland” of the Volga region as well.” In fact, from 2010-2013 there were annually hundreds of attacks in Dagestan and tens of attacks in Chechnya, Ingushetiya, and Kabardino-Balkariya each [Hahn, The Caucasus Emirate Mujahedin, p. 124]. But in 2014 and 2015, the number of attacks in Dagestan was several dozen rather than several hundred each year. In Ingushetiya, Kabardino-Balkariya, and Chechnya the numbers were in the single digits for each region in 2014 and 2015 compared with many times sometimes close to 100 in each annually from 2010-2013. [Due to underemployment and a full lack of funding I was forced to stop doing my detailed count of attacks and the number of killed and wounded after 2013, but data can be found on Kavkaz Uzel, www-kavkaz-uzel.ru.] The fall in the numbers not only belies Birman’s claim that Islamist-related violence in the North Caucasus “remains widespread,” but it again confirms the FSB’s numbers. Berman appears, like the rest of DC, to be more concerned with both blaming Russia for as much bad phenomena as possible and pinning it with as much failure as possible. Hence, he must deny any decline in the number of attacks simply because the Russians assert it the point and blame Russia for the rise in the number of mujahedin joining the Islamic State and other jihadi groups in the Levant. But the fall in the number of attacks in Russia, combined with the mass exodus of mujahedin from Russia, begs an obvious question: Perhaps the mass exodus of jihadists from Russia to Syria and Iraq explains the collapse in the number of jihadi attacks in Russia? As I have written in the past this is precisely the explanation. The mass exodus of mujahedin from Russia to Syria began precisely in 2013. The first departures in the ‘hijra’ to Syria came in late 2011, and the exodus picked up steam through 2012. To be sure, Russian authorities would like to claim the improvement for themselves, citing improved counter-jihadism efforts, but this is likely the far less powerful factor leading to the decline in jihadi violence in Russia from 2013-2015. One example of this success is the elimination of the Caucasus Emirate’s amir three times since September 2013 after the CE’s original amir, ‘Abu Usman’ Doku Umarov, survived the first six years of the organization’s existence from 2007-2013. Umarov’s killing may have played a role in the CE’s failure to carry out its long threatened terrorist attack at or during the February 2014 Olympic Games. Birman then turns to the changing face of Islam in Russia to buttress his argument. Here again Birman is off the mark, pointing to a few terrorist attacks from 2010-2014 and a “marked uptick” in IS “activity”—not number of attacks, simply ‘activity’—in Russia since Moscow began its Syria intervention as evidence of some rising threat. Birman cites Putin’s statement at an October 2015 official press conference that the country’s security organs had succeeded in foiling 20 major terrorist attacks so far in 2015. What is not pointed out that this several times fewer than previously annual totals of prevented attacks. He also points to recent threats and calls for jihad against Russia from Jabhat al-Nusrah, Islaimc State, and Saudi clerics. But this has been occurring for years and is nothing new. Birman also points to the rather far-fetched conclusion of a Russian research institute (suddenly someone in Russia is reliable) that by the 2040s Russia’s population will have declined from the present 143 million to 100 million, while the Muslim population’s reproduction rates remain the highest in the country. The problem with this analysis is that the fertility rates and birth rates of Muslim groups are also beginning to slow along with modernization and greater integration into urban Russian life. Birman also discusses the exodus of mujahedin from Russia. Unfortunately, he relies on a propaganda piece as his source to claim that Russian secret services has been facilitating the exodus of mujahedin from Russia to Syria and Iraq. See my review of the propaganda piece and the paltry evidence cited by Birman to support the claim that the exodus is a Russian FSB plot (https://gordonhahn.com/2015/08/26/the-daily-ignorance-bestial-distortions-of-jihadism-in-russia/). Suffice it to say here that anyone even vaguely familiar with the North Caucasus, its borders and the high altitude mountainous terrain there realizes that Russia can do little to prevent mujahedin from making the hijra by land. Moreover, many of the mujahedin who have left by other means (rail, air, sea) were not yet mujahedin or know to be mujahedin. The CE has long been unable to supply all potential recruits with weapons and ammunition, prompting those bent on carrying out jihad to emigrate. Although Birman is quite correct in pointing out, as I have written numerous times, that one of the reasons for Putin’s military intervention in the Syria is not just to save the Bashar Assad regime and fight IS but it also is “defensive maneuver,” as Birman puts it, to combat the Russian mujahedin and who have emigrated to the Levant and the jihadi groups, such as Jabhat al-Nusrah (JaN) and the Islamic State (IS), that sustain them there so Russia does not have to “face them at home a few years hence.” In other words, Putin is employing President George Bush’s post-9/11 strategy. One interesting aspect of Birman’s argument is that it goes against the DC consensus’s and US government’s propaganda campaign that asserts that Russian forces are not bombing jihadi groups at all but only the practically non-existent ‘moderate opposition forces’ seeking to topple Assad. The upshot of all of the above is the persistence of the sad historical pattern of post-Cold War writing on Russia faking the facts to fit the picture of failed and yet threatening Russia. Thus in the 1990s, the DC consensus held that there were no jihadists in Chechnya; the Chechen separatists of the Chechen Republic of Ichkeriya were ‘democratic freedom fighters’ suffering under Russian oppression and that was it. Any other considerations could not entertained or funded with grant money or think tank positions. This was demonstrated to be quite wrong, as my books on jihadism in Russia proved quite conclusively. I do expect that there will be some major attacks carried out by IS’s Russia-affiliate in the North Caucasus, the so-called Caucasus Governate of the Islamic State (Vilaiyat Kavkaz Islamskogo Gosudarstva) or perhaps other groups, including the nearly dead CE, in the coming year or so, but a return to the level of violence that was extant in 2009-2012 is unlikely to recur in the next few years. Russia’s Syria intervention and the concentration of the Western mind on IS that it forced may in fact lead to the dispersal of IS, JaN, and other mujahedin to Turkey, Europe, and Eurasia, including Russia as mujahedin units collapse and individual fighters decide to go home. If that happens a more marked increase in jihadi violence in Russia and elsewhere outside the Levant may occur.